Someday, daughters, you might want the recipe. 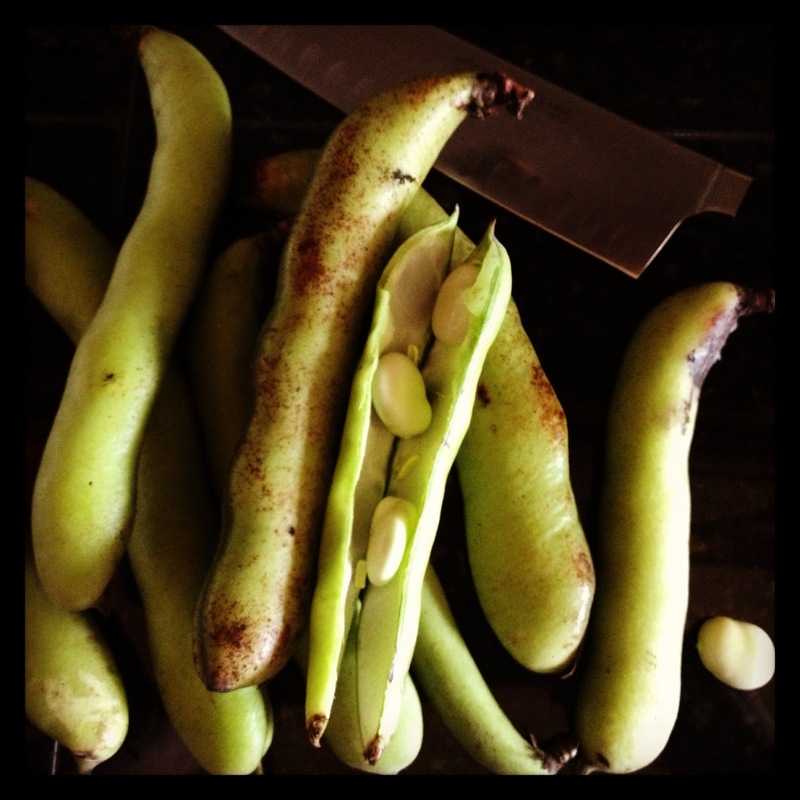 I have fava beans. I have Chianti. I just need an entree. My favorite fancy food store stocked fresh fava beans this week. I’ve never tasted them, so, in the spirit of cooking adventure, I picked up a package, along with some other groceries. At the checkstand, the woman ringing up my order examined the curiously large and lumpy pods and commented about the movie that made fava beans famous. I don’t watch horror movies, I said; I’ve never outgrown the nightmares that plagued my childhood sleep. But I know the reference, I volunteered brightly. The woman smiled as she passed the beans over the bar code reader and asked me if I was having Chianti with them. She made that sup-sup-sup-sup sound that will forever be associated with actor Anthony Hopkins in his role as Hannibal Lecter. Yes, I said. I want the full experience! She looked at me oddly, pausing in her work. I plunged on, pondering aloud now. But why, I said, would you serve Chianti with a green vegetable? Seems like a white wine would be a better choice. I waited for her response. She finished bagging my groceries, grinning, and turned to the next customer. I googled the phrase from the parking lot. Moral of the story: One who is unsure of a pop culture reference should not attempt to use it in conversation. Also, thinking out loud can be a very bad idea. Sitting on my kitchen stool…laughing out loud at my sister…no, WITH my sister…!